The equity crowdfunding industry is set to explode once the JOBS Act goes into effect in 2013. The market is expected to be at least $500 million in 2013 with a steep increase in demand year over year. We've identified over 100 equity crowdfunding platforms that are either in business over seas or are set to launch in the US. This poses many problems for both entrepreneurs and investors in the equity crowdfunding space. First, how will entrepreneurs know which funding platforms would be the best fit for them? Will they have to scour more than 100 platforms to understand what each platform is offering? And how will they be able to quantify their potential for success on each of the platforms? Furthermore, will investors have to go to each of the 100 platforms to search and research companies seeking funding? Where will they find other data that will help them make the most educated investment decisions? CrowdLanding has the solution to these problems. 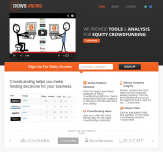 CrowdLanding provides research, tools, and analysis for the global equity crowdfunding industry. Investors will no longer have to search across 100+ platforms and sort through a thousand companies seeking funding just to find the right investment. 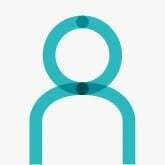 Entrepreneurs can now stop at one place to research all the crowdfunding platforms to find the one that best suits their needs.